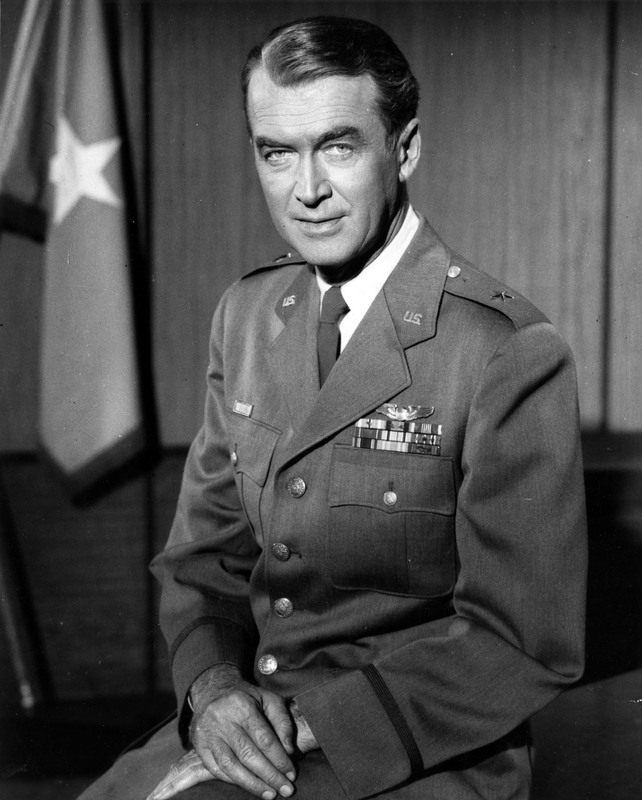 Posted on October 17, 2013 by wjastorePosted in Society, US Military, warTagged entertainment, Jimmy Stewart, military draft, military service, Pat Tillman, sacrifice, sports, Ted Williams, The Greatest Generation. Previous Previous post: Remember Color-Coded Threat Warnings? We might add to that list of “celebrities” ( as we call them today) who were active in WW II Glenn Miller, the big band leader who disappeared crossing the English Channel in a plane, Frank Capra the film maker, Tony Curtis, Lee Marvin, etc. But let us not forget that the backdrop for the nation was “total mobilization” which left no citizen untouched by the national effort. Those not in the military did not go out and shop at the urging of our president (FDR) ,they sacrificed. Gas, meat, flour, sugar,and many foods,were rationed, women gave up silk stockings, men lost the ‘cuffs’ on their pant legs, etc. And let us not forget the millions of young 18 year olds who gave their youth to that effort. Our “War On terror” is a phony war and does not merit comparison to WW II. We must give up the idea that military action or ‘regime change’ are the only options in dealing with difficult and threatening political situations. Let us remember the British had to deal for decades with “terrorism” from Ireland, just a few miles across the Irish Sea. They tried military action for decades but it was diplomatic negotiation that finally resolved the situation. The current “terrorists” are not just across the Irish Sea from us but across the Atlantic Ocean and the Mediterranean Sea, a good 8000 miles away. The “War on Terror” is a cover story to hide the real purpose of the imperial ambitions of American corporations and our political elite to control worldwide resources and markets. We don’t need the draft or Sylvester Stallone in the military. Lets get rid of the “imperial ambitions” and we may be also be able to then get rid of the crazies in our congress who fund these wars. The problem is money. Almost everything that this country does is determined by how profitable it is. I almost never hear from anyone in elected office in government, on any subject whatsoever, without an addendum at the end of the message asking for money. Our supposedly peace-oriented president is a jingoist who supports those parts of our society that make fortunes on war materials from rifles to warships. I voted for him assuming that he would carry out the noble principles that he campaigned on in 2008 and then we got stuck with him because there is no reasonable alternative. Do you have a realistic approach that we can adopt with any hope of stopping war? What if they give a war and nobody shows up? (Or did they?) If they threw me in jail the day I burned my draft card, I would have gotten out of jail five years before that war was over. Ironically, some of the people who burned their draft notices in the ’60’s are selling similar wars now. We said, “Old men start wars and young people die in them, so let us give peace a chance.” Seems like every generation has their time of peace and time of war and I can give u a longer list of slogans. We use WordPress and a Customized Expound Theme. Good luck with your blog.